Garrison Keillor, host of public radio's popular A Prairie Home Companion and author of the best-selling Lake Wobegon Days, has made a career of telling stories about the fictional Minnesota town of Lake Wobegon and the lives of its residents. Keillor has become an American icon, and his show is heard by nearly three million U.S. listeners each week on over 500 public radio stations. It is also heard overseas on America One and the Armed Forces Networks in Europe and the Far East. wanted to work was in the Midwest. "If I had really wanted to get a job in New York, or course, I would have simply moved there and taken any job I could get and hoped for something better eventually," Keillor explained. "But I didn't: I was engaged to marry a girl who didn't want to move to New York, and I could see that New York is a tough place to be poor in, and then, too, I thought of myself as a Midwestern writer. The people I wanted to write for were back in Minnesota. So I went home." In 1985 Keillor married second wife Ulla SkÃ¤rved, who had been a Danish exchange student at Anoka High and whom he met again at his 25th high school reunion. By 1987 Keillor quit A Prairie Home Companion—from "sheer exhaustion," he explained on the show's Web site—and moved to Denmark. However, within two years he had returned to the United States and started a new radio show in New York City. The show, American Radio Company of the Air, first broadcast in 1989 from the Majestic Theater in Brooklyn. It strongly resembled A Prairie Home Companion; so strongly in fact that in 1993 Keillor decided to revive the show back home to St. Paul. 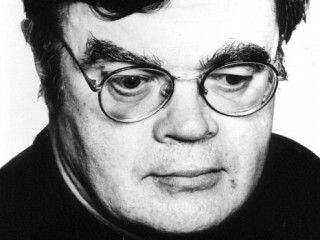 View the full website biography of Garrison Keillor.